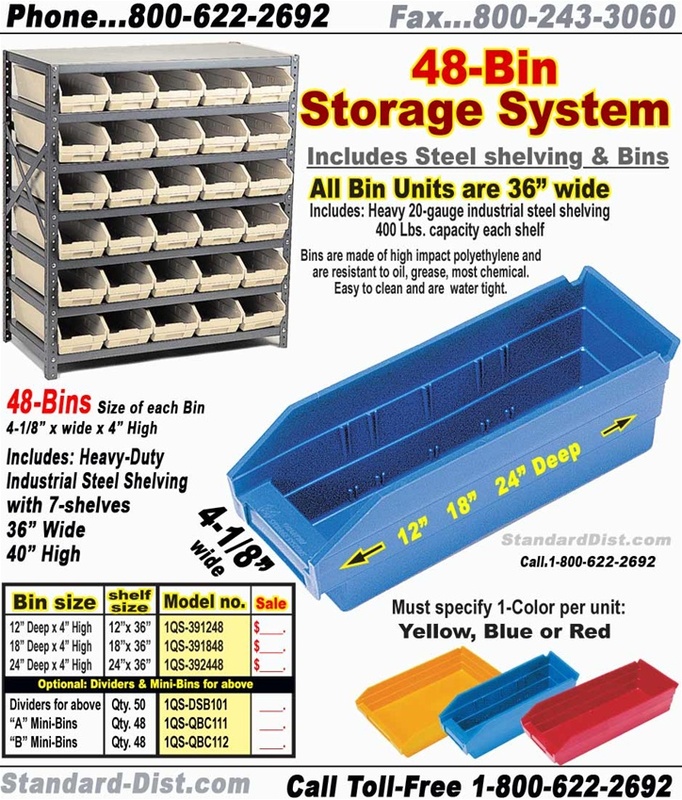 48-BIN SHELVING STORAGE UNIT, with 4-1/8"Wide Bins. 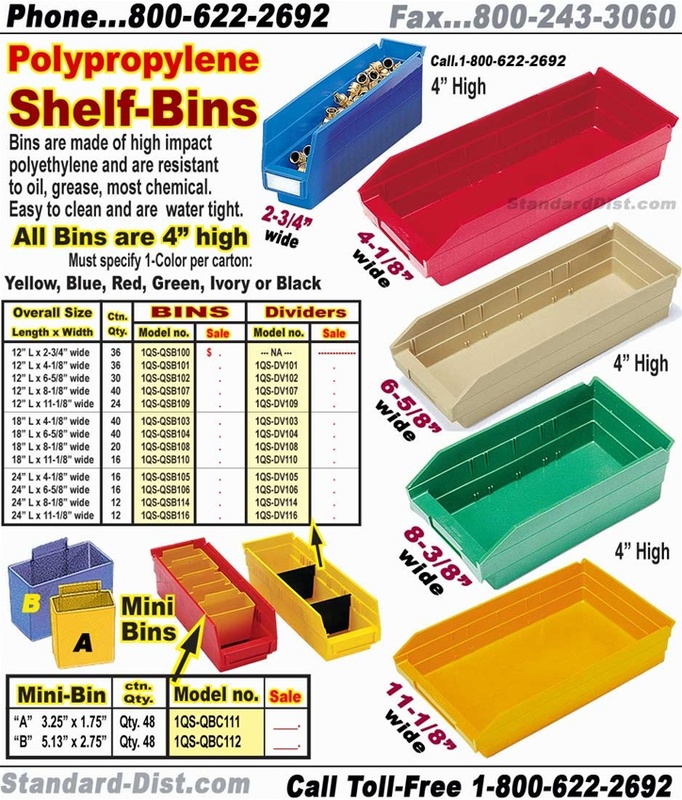 Units includel bins with steel shelving. Units are shipped knocked-Down.